PBD means The Day for Overseas Indians. PBD is held every year (January 7-9) in India. 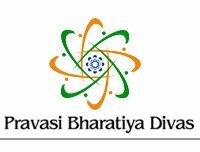 Three years ago, the Government of India commenced organizing Regional PBDs to reach out to a vast majority of Indian Diaspora, who for various reasons, are unable to attend the main event in India, and benefit from its deliberations. So far, four such Regional PBDs have been held in New York, (2007), Singapore, (2008), The Hague, (2009) and Durban (2010). The 2011 Regional PBD will be held in Toronto on June 9 and 10th. Indo-Canada Chamber of Commerce is the nodal agency for the event. The theme is Building Bridges: Positioning Strategy of the Indian Diaspora. Indian Diaspora members in Canada, USA, Mexico and the Caribbean countries are expected to attend the PBD­Canada 2011 convention in large numbers. We are also expecting participation by the provincial governments and from Canadian mainstream organizations. 1.A Civilian nuclear cooperation agreement. 2.An MOU on higher education. 3.An MOU on earth sciences and mining. 4.An MOU on cultural cooperation. Social Security Agreement, the Foreign Investment Promotion and Protection Agreement, and MoU on Transportation are under negotiation and are expected to be concluded soon. The Two Prime Ministers recently launched the negotiations for concluding a Comprehensive Economic Partnership Agreement. India-watchers and those who trace their roots to the sub-continent, have an important role to play as bridge builders. The objective of the conference is to draw globally renowned speakers and leaders from India, Canada and other countries of America and for participants to formulate suggestions for advancing partnerships in the next 20 years between India and Canada, and India and other American countries in the fields of business, arts and culture. Young diaspora Indians are active in many different fields, as researchers, businesspeople and professionals. The diaspora in North America has already demonstrated its role as bridge builders with India in the areas of technology, culture, entrepreneurship, education and healthcare. Similarly, diaspora youth have been at the forefront of social media, which have provided further meaningful contact with their Indian counterparts. The participants will offer insights into mentoring newer generations of overseas Indians in their new home countries. They will also speak on policy initiatives that will promote people-to-people contacts and improve the capacity of youth to function as human bridge to India. Indian arts, culture and visual media are increasingly gaining recognition in North America. This new reach has brought a need to globally orient these Indian cultural traditions. As well, efforts to advance an economically viable dimension to cultural exchange are important for future development. Noteworthy initiatives include the India-Canada MOU for Cooperation in Culture; the focus of the Indian Council for Cultural Relations on Canada and the “Year of India in Canada” events in 2011. Strategies to promote “global India” in arts and culture, role of cross-cultural understanding and enrichment from the works of internationally acclaimed authors, and the impact of popular culture are some of the areas the participants will share their views. One of the most obvious bridges between India and North America is the financially-successful Indian diaspora. Five percent of India’s overseas Diaspora resides in Canada – a significant percentage considering the distance between the two countries and Canada’s relatively small population. Organizations like the Canada-India Business Council, the Indo-Canada Chamber of Commerce and the Canada-India Foundation have broadened and deepened the understanding of economic opportunities. Similarly, organizations like the Canadian Chamber of Commerce and the Canadian Council of Chief Executives have taken initiatives to create greater awareness and a sense of urgency. This panel will discuss the contribution of Indian Diaspora to building of economic bridges between India and North America. In addition, knowledgeable business leaders will provide their insights on how to promote the economic relationship and engagement with India in the context of the proposed Comprehensive Economic Partnership Agreements between India and North American Countries. The Indian diaspora youth continue to be the largest source of untapped potential as ambassadors of Indian culture, economics and politics to build the foundation for a digital economy, promote innovation and entrepreneurship and uncover possibilities of converting research knowledge into economic successes. A number of diaspora youth in the US and Canada have recently relocated themselves to India, offering overseas knowledge and skills to the Indian market. Those remaining in North America are also well placed to play an important role in education and innovation by contributing resources, expertise and technologies to the Indian market. This is particularly important given India’s goal to transform its education and innovation infrastructure. This session will discuss ways to engage Diaspora youth; foster cooperation in the establishment of knowledge and innovation hubs in India; thereby establishing a “brain circulation” between India and North America. Small and Medium Enterprises (SMEs) play a vital role for the growth of the Indian economy as they do in North America. Small and medium enterprises are the single largest contributor to employment and job creation in Canada. Research shows that 71 per cent of small business owners will retire within the next 10 years. Thus, Canada needs the energy of a new generation of professionals for SMEs, highly innovative thinkers and risk takers to create hundreds of jobs and support Canada’s global competitiveness. Joint ventures have the potential to create a win-win situation for both India and North American countries. This session will address ways in which specific strategies can be followed to bring SMEs in India and North America in closer contact and the role of diaspora organisations that operate globally. Innovation, Science and Technology, and entrepreneurship are critical for 21st century economic development. Canada and India share some important challenges, particularly the development of innovation in science and technology in an era of low R&D spending due to the global recession. The presence of global corporations in India combined with Canadian expertise in select areas of scientific and technological cooperation, earth sciences and mining, environmental and energy collaboration give rise to numerous opportunities for co-operation. MOUs already exist in several areas along with funding packages. The proposed Centre for Research Excellence, focussed exclusively on India, offers great promise. Panellists will discuss several matters in this area: a) using Canada as a North American base, b) India as an entry point for technological markets in Africa and Asian countries c) identify the next generation of innovators d) globally renowned diaspora organisations and their role. Dr. Arvind Gupta, CEO & Scientific Director, Mitacs Inc.
India is well on the road to a knowledge-based economy. In past 25 years, it has made enormous strides in its economic and social development; Technology can be a great enabler. For rural development, solutions have to be affordable, sustainable and simple to the end-users of these innovations. Sub-national jurisdictions have now a diversified economic base. Combined with the resources of a vibrant diaspora, India watchers can play a multifaceted role in strengthening the link between innovation and economic development. Unique technological assets in both countries can reinforce bilateral economic relations. Healthcare in India is expected to become a $280 billion (USD) industry by 2020, a result of rising income levels and a growing elderly population. In addition, India faces increased spending in healthcare delivery due to its aging demographics, disease profiles and the shift from chronic to lifestyle diseases. Potential areas for Diaspora engagement include: technology, pharmaceuticals, management of public hospitals, health insurance, supply-chain management and integrative primary health care. This panel addresses the following questions: What role can the Indian Diaspora play to meet the requirements of the Indian healthcare sector? How can the expertise and research work of the Indian diaspora in health care be harnessed for effective use and guidance in India? Canadian models of telemedicine and their relevance to the India. The diffusion and commercialization of health care technologies. Gender inequality is a globally pervasive issue, particularly in the areas of health care, domestic abuse, and poverty. Focusing on the themes of the PBD, there are three areas in which the Indian Diaspora can have a significant impact on advancing gender equity. First, there is a need to address the gender inequalities within the corporate sector within India, particularly the issues of career advancement, training and income equality. Second, North America and India share the problem of fraudulent marriages occurring between NRI husbands and Indian brides. Solving this issue requires parallel strategies from both the North American and Indian governments. Third, this panel will focus on the role of NGOs and the future of the girl-child. For example, there continues to be massive inequality in the female literacy rate in India. Research has shown that education for the girl-child has the long-term effect of reducing family poverty and child mortality while simultaneously improving family planning and community health. There is potential for cooperation in education, building on the work of Indian NGOs, governments and educational institutions. Panellists will address these important themes in gender equity: How can NGOs and North American professionals play an effective role for advancing gender equity in India? What are the initiatives being taken in India on gender issues and the potential to intersect with organisations and leaders in North America? Dr. Manmohan Singh, Prime Minister of India, has remarked that the 21st century will be a global one, belonging to global citizens. It will be a century of freedom, democracy, multiculturalism, knowledge-based economies and knowledge- based societies. ‘Global Indians’ in North America have made valuable contributions in the countries of their residence, while also facilitating an ongoing connection to their India homeland. These networks have unlimited potential to improve partnerships for addressing issues such as energy security, climate change, the promotion of democracy, good governance, healthcare, multiculturalism, pluralism and federalism. Addressing the engagement of Global Indians, this session is a macro-level interactive discussion to explore the role of global Indians in a) building economic networks between India’s civil society and private sector with their North American counterparts b) enhancing cultural bonds and cooperation with India and c) extending the work of global Indians in social/strategic philanthropy.